Brook Crompton has one of the widest available ranges of electric motors for operation in hazardous atmospheres and hostile environments. 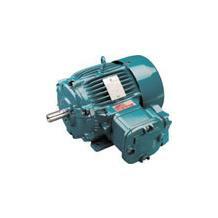 Our motors are of the highest quality, built to the latest British and international standards and certified by the relevant national authorities for use in almost every country. The motors are manufactured in factories that are licensed by a European notified body (eg EECS / BASEEFA, PTB), meeting rigorous quality controls. All relevant products fully comply with the requirements of the ATEX Directive (94/9/EC). The EEx d/de range of flameproof motors covers outputs from as little as 0.37kW up to 200kW in frame sizes W-EF90 to W-EF315, in 2, 4, 6, & 8 pole speeds. They are designed, tested and manufactured in accordance with the latest Euonorm and relevant country standards.